Pearl clasps are an essential for maintaining pearl necklaces. They have to be strong enough to hold the weight of an entire string – sometimes several strings – of pearls. For this reason, pearl clasps are often very large and ornate, and they become a statement piece in and of themselves. See the example below to get a grasp of how stunning pearl clasps can be. There are a variety of pearl clasps available, differing as needed for the purposes of the individual necklaces. There are the more simplistic, functional styles of pearl clasp, such as the bar clasp, the ‘s’ hook, the fish hook, the hook and eye, the spring ring, and the magnetic clasp. Clasps such as these are usually smaller, aimed more at practicality than visual appeal. 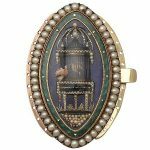 The necklaces and bracelets that these clasps are used for are made with small pearls, with less weight being placed on the clasp itself. Larger, more extravagant necklaces – often with multiple strands of pearls – require suitably larger, more extravagant clasps. These clasps make for wonderful collectables, and can be worn as jewellery in their own right. It is common for these clasps to be of the push fit variety. Having a push fit clasp for a larger piece of jewellery leaves room for more decoration on the clasp itself. 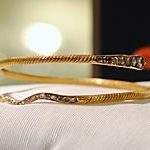 Another common clasp style for larger items is the box clasp, which frequently features filigree metal work designs, and sometimes gemstones or diamond decoration. 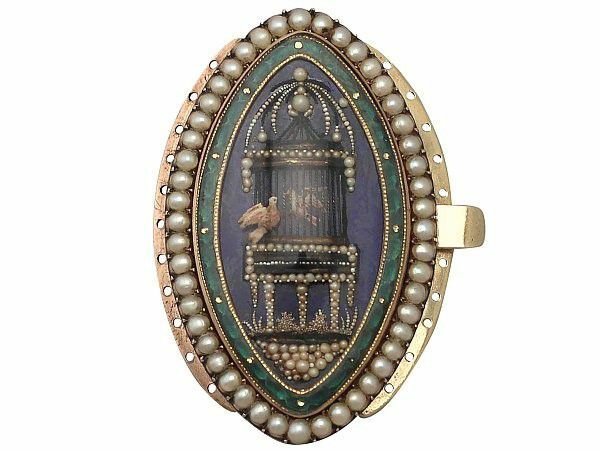 Many original fittings and clasps on antique pearl necklaces are relatively simple, so it can be a wise investment to purchase a new clasp that is robust enough for the necklace, and also an ornate beauty. 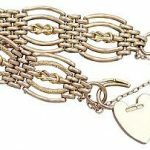 Replacing a basic clasp with a more adorned clasp can add significant value to a piece of jewellery, and if the new clasp is firm and strong then the piece is more secure also. 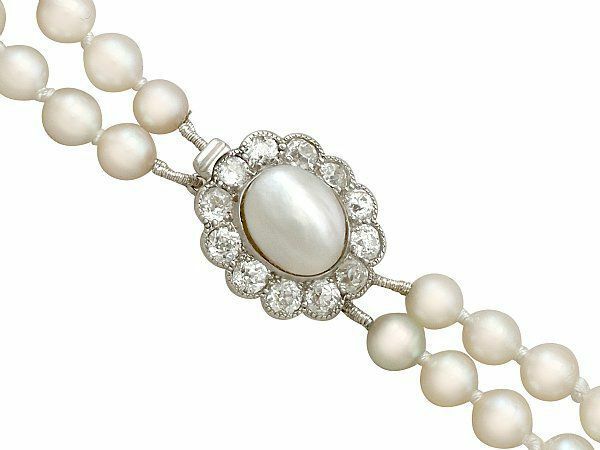 When choosing a new clasp for a pearl necklace, the important factor to consider is the style of the pearl necklace. 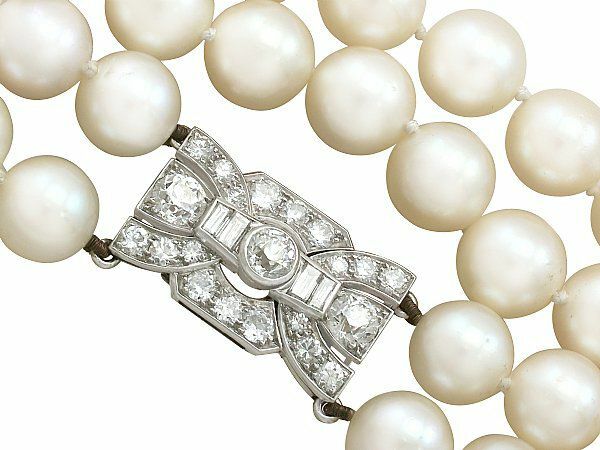 A classic single, double, or even triple strand necklace may not be suitable for a large clasp, dependent on the size of the pearls themselves. 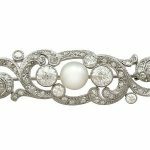 Any clasp you choose must be practical for the item before it is resplendent with decoration; you wouldn’t want it to overshadow the pearls after all. The strength and durability of the clasp, along with the practicality of the clasp type, are also very important factors to take into account when purchasing a new pearl clasp. The amount that you expect to wear your pearls should influence your decision regarding the strength and durability of the clasp as well. The most important factor to making the decision about a new pearl clasp is – of course – your own personal taste. 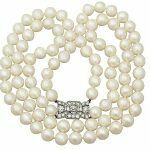 Your preferences should dictate the style of clasp you purchase so that you can find the perfect piece that will only highlight and compliment your pearls. If you prefer something more eye-catching and are looking to make a statement, you can wear your pearl clasp in the centre of the chest, rather than the nape of the neck. Doing this does mean that the largest of the pearls in the necklace will not sit at the lowest point of the necklace, so bear that in mind when making a decision regarding pearl clasps. Now that you know what’s what when it comes to pearl clasps, maybe it’s time to get that old necklace out and make it safe enough to wear once more. So, what kind of clasp do you want for your pearl necklace?